Based on a deep and fundamental understanding of the various processes in the industries, GEA designs and engineers process solutions – customer-orientated to fulfill our customers’ needs. 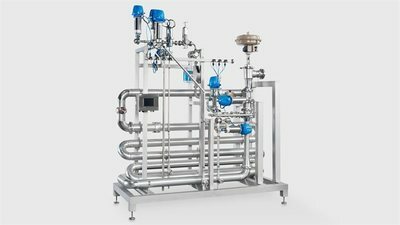 GEA specializes in the design of processing systems for all kinds of liquid, providing the highest degree of production safety. GEA provides a comprehensive range of advanced processing components developed and designed for the liquid processing industry. The range comprises everything from valves, pumps to tanks and complete process plants. Our product know-how, combined with our strong process engineering and design expertise, ensures correct plant design and hygienic solutions for all types of liquids. The design and process engineering philosophy of GEA is developed to meet new standards for energy saving, product quality and maximum plant output while complying with the strictest criteria for hygiene and safety at all time.